This week it's Yangon in Myanmar (otherwise known as Burma). 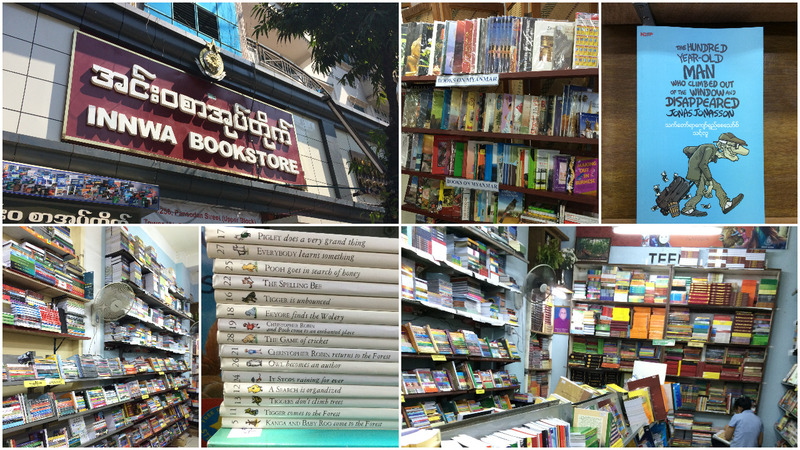 Yangon was the first stop on my travels where I knew that I was planning to move into the book trade upon my return to the UK. I made it my mission to spend a few days in the slightly chaotic capital city, hunting down some of the bookshops frequented by locals. It was very clear that books and reading are a huge part of everyday life in Myanmar. 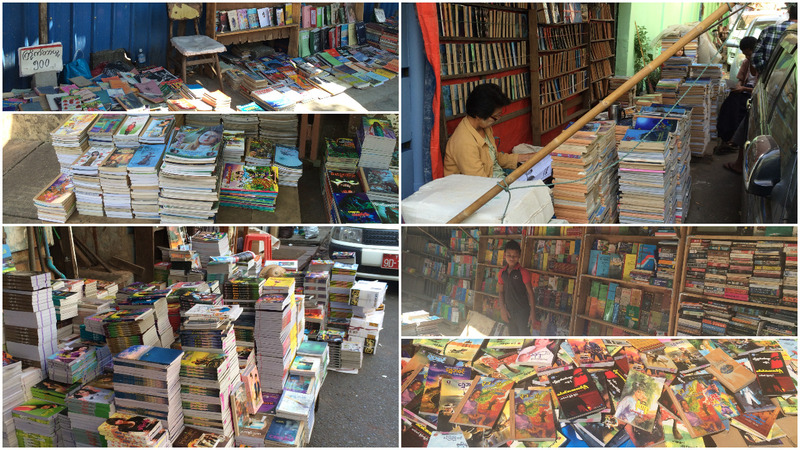 There were a lot of bookshops in the capital and, more impressively, lots and lots of street vendors selling books. I was fortunate that I had found a magazine in my hostel that contained an article on the book trade in the city which helped shape my plans for my bookshop-finding mission! I prioritised which shops I wanted to see, pulled on a pair of comfortable shoes, braced myself for the heat and headed out into town. Over the course of a couple of days, I found several shops and also meandered down multiple streets lined with completely chaotic bookstalls. 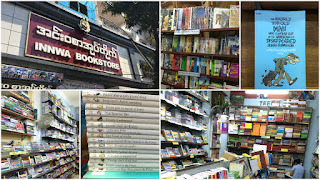 It amazed me how so many booksellers existed on the streets of Myanmar, with a lot of them seeming to sell similar products. It was great to see how they all respected each other's space and managed to make a living from selling the books. The approach to bookselling varied wildly from stall to stall, with some books simply thrown in a pile on a blanket by the side of the roads whilst others were carefully ordered and laid out to display the titles for people to peruse. Whilst the street book vendors all had a relatively small pitch on which to sell their wares, a couple of the bookshops I saw in the city were a good size and were simply rammed full of books. It seemed that I had happened across the Nobel-Myanmar Literary festival and, whilst that may have explained the volume of books, it may simply be that that is just the way that they are always displayed. In Innwa Bookstore, there was a large collection of texts in both Burmese and in English. I was particularly tickled to find a Burmese edition of one of my favourite books 'The Hundred-Year-Old Man Who Climbed Out the Window and Disappeared'. I also came across a pile of Winnie The Pooh books, which reminded me of the ones I read as a child. 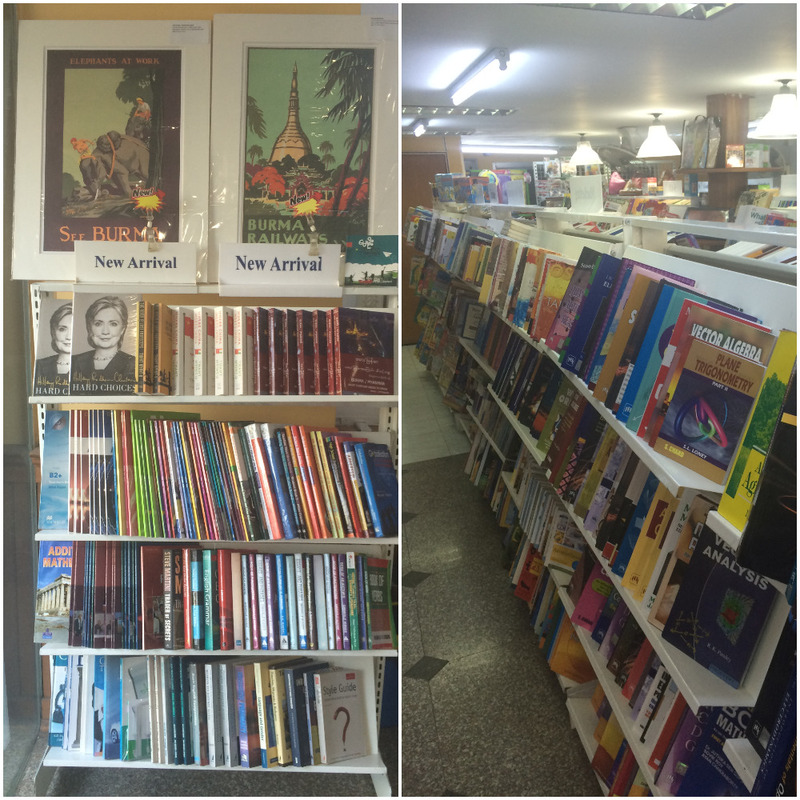 In the Myanmar Book Centre, books were laid out in a slightly more clinical manner and, whilst the signage was good, and the books were well organised, I found it less inspirational than the other shops. 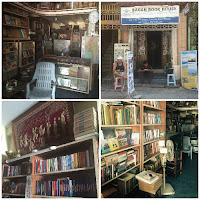 The Bagan Bookstore, whilst small, has a reputation for having one of the most extensive selections of English-language books on Myanmar and Southeast Asia. The owner has a great reputation for knowing his stock and the shop is somewhat legendary amongst the locals. One thing I took away from the shops in Myanmar was that less is possibly more. When I walked into a building containing piles and piles of books, I found it overwhelming and was almost put off browsing by the sheer volume of what was on offer. I have tried to keep that in mind at Mostly Books, even as the stock levels increased significantly prior to Christmas. I believe that customers should enjoy the browsing experience and have a great range to look at, but it shouldn't become a chore to work through so many titles. If you are interested in seeing more about Sarah's experiences in Myanmar, you can head to her blog posts on the country which start here. There are more pictures of the bookshops and bookstands in Myanmar on our Facebook page here and, as always, feel free to pop into the shop for a chat about all things travel. Sarah is a huge fan of exploring all parts of the world and will happily chat about it with anyone.